Obituary – Beers, Frederick Gordon « Perry High School Alumni Association, Inc.
﻿- 16-year-old son of Mrs. Ivy Beers. He was born in Perry, August 19, 1924. He has attended Perry schools for eleven years, during which time he has been an active and popular student. He served as class reporter of the senior class this year, is a member of the school paper staff and had the leading roll in the senior class play, “What a Life.” He also was a member of the cast of the junior class play during his junior year in school. Writing and reading are his hobbies. Fred plans to work this summer and attend some business school after his graduation. 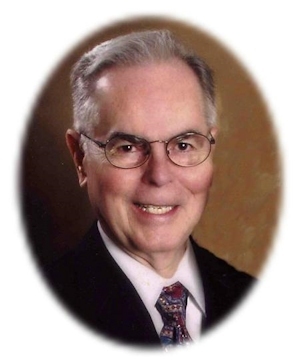 Fred G. Beers, 82, of Perry, died Monday, Aug. 6, 2007, in Perry. Memorial services will be at 2 p.m. Friday in the First Presbyterian Church in Perry. The Rev. Marilyn Weathers and the Rev. Tim Boggess will officiate. Services are under the direction of Brown-Dugger Funeral Home of Perry. A family visitation will be from 6-8 p.m. Thursday in Brown-Dugger Funeral Home. 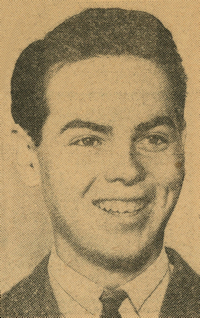 He was a 1941 graduate of Perry High School. While in Army service during World War II he attended St. Bonaventure University in Olean, N.Y., and was a copy editor on the news staff of The Stars and Stripes, the Army newspaper published in Hawaii for military personnel in the Mid-Pacific area. After the war, he was managing editor of The Perry Daily Journal for 25 years before taking a position in corporate communications with The Charles Machine Works, Inc., a Perry firm which manufactures Ditch Witch underground equipment for an international market. He retired from CMW in 1989. In 1994, he resumed writing a twice-weekly column for the Perry newspaper. Since retiring he also authored four books — “The First Generation,” a history of the first 50 years of his hometown and The Charles Machine Works; “Perry Tales,” a collection of portions of his newspaper column; “Dedicated to Excellence,” a history of championship wrestling at Perry High School and “A History of the P.W. Cress Family,” a pioneer Perry family. He actively supported and served his community and his church. He was honored by the Perry Chamber of Commerce as Outstanding Citizen of the Year. He also was the recipient of many other honors in recognition of his service to various organizations. His parents, two sisters, Jeanice and Gloria; one half-sister, Helen and one granddaughter, Jenny Bieberdorf, preceded him in death. He is survived by his wife, Laura; their two daughters, Susan Bieberdorf and her husband, John, of Perry and Kathy Lindsey and her husband, Ron, of Kansas City, Kan. and four grandchildren, Amy and Jill Bieberdorf and Tom and Joanie Lindsey. Memorials may be made to the First Presbyterian Church or the charity of the donor’s choice in care of Brown-Dugger Funeral Home, 1010 N. 7th Street, Perry, Okla. 73077.